Isn’t it good to see? Two workmen cleaning a shop window. 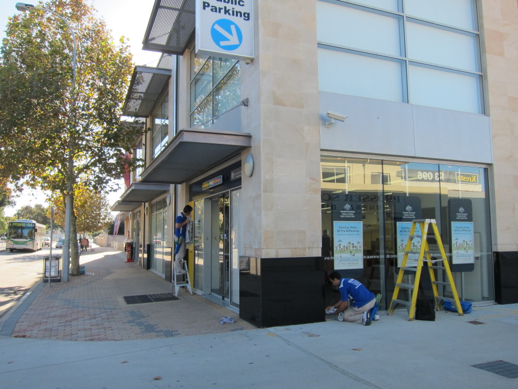 But those awnings aren’t any good – see why … And also, Medicare has two shopfronts – one is entirely blocked out though. Naughty. When the man crosses the road, you are looking at ‘old’ awnings, which keep us dry!